The UK Technology Strategy Board have launched a new competition we’ve just entered by creating a two minute video and the TSB is encouraging public feedback before judging. Please have a look and leave some feedback. Thank you! Ambient Collaborative Contextual Zoom (C2Z) | Innovate 10. We successfully concluded our UK TSB funded project for the Department for Transport and Highways Agency. We created a short video to help them disseminate our work. It’s embedded below. We used the SAIC OLIVE virtual world platform combined with Masa Group’s DirectIA Artificial Intelligence software and expertise. Coram UK was also a key partner bringing their deep domain expertise to help ensure the end product accurately reflects working practices and was easy to use. Masa Group just posted an overview of the project in their case studies section of their website here. TRAF*MAN Traffic Simulation for Decision Support using AI & VW from Ron Edwards on Vimeo. Interesting multi-faceted experience – using Ovi maps, live events, alternate reality gaming. Looking forward to seeing how it all works. Nokia and Tim Kring launch Conspiracy For Good. Ambient Performance, MASA Group and Coram UK are nearing completion of TRAFMAN – Training Press Releases. 13-May-2010 » Training Press Releases » Ambient Performance (Lead), MASA Group and Coram UK are nearing completion of a 6 month response to a SBRI call from the UK Technology Strategy Board and the Highways Agency for Synthetic Environments in Managed Motorways to explore the use of synthetic environments applied to transport, in this case, modelling and managing complex traffic situations on motorways. We’ll be showing this at ITEC in London May 18-20 at our stand A120. 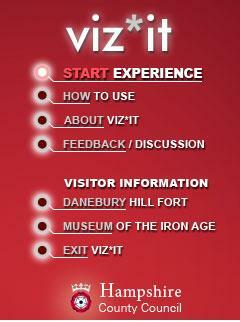 Our new mobile augmented reality based project Viz*it Iron Age Experience was launched last week with Hampshire County Council. It features an animated 3D warrior with professional voiceover and several videos which combine images and other animations to bring the Iron Age to life. There are three versions available including German. 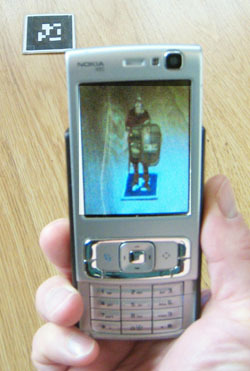 It runs on most of the Nokia N Series smartphones and all of the audio and video can be downloaded separately to run on other phones and portable devices. 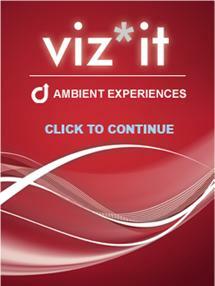 You can learn more about it and download at http://vizit.mobi. We are collecting feedback from within the application and we’ll share the results here. Ambient Connections is written by Ron Edwards, Ambient Performance co-founder and CEO to keep readers up to date with Ambient, industry and metaverse related technology news. Comments are welcome. You can email Ron (at) AmbientPerfomance (dot) com.